J&M Brown Completes Electrical Construction at One Seaport Square - J. 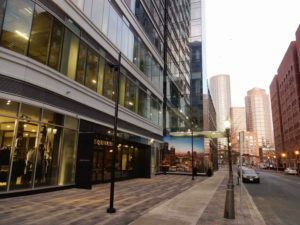 & M. Brown Company, Inc.
J & M Brown Company, based in Jamaica Plain, recently completed electrical construction of 5 Fan Pier Boulevard – Building C at One Seaport Square, the Seaport District’s newest and most vibrant new mixed-use project. 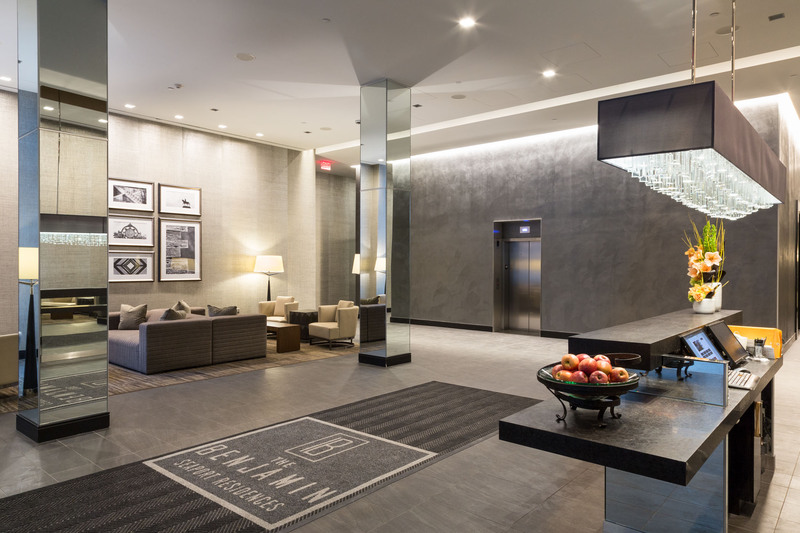 Earlier in 2017, JMB completed core and shell electrical construction of Building B – The Benjamin, located at 25 Northern Ave. 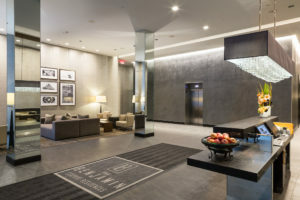 The two 22-story towers house 850 luxury apartments and over 300,000 square feet of retail and entertainment space, with three levels of below-ground parking. J & M Brown’s crew of 50 Local 103 electricians at peak construction worked on both Seaport Square buildings. The electrical team provided the buildings’ primary and emergency power as well as their integrated fire alarm system. The NECA Boston Chapter contractor also installed lighting in the buildings’ lobbies, rooftop terraces, and exterior public realm areas. Spectrum Integrated Technologies, the low-voltage division of J & M Brown, installed the buildings’ security system and provided the design-build A/V system with its crew of Local 103 technicians. J & M Brown worked on a project team headed by Construction Manager/GC John Moriarty & Associates of Winchester, MA. The project was designed by Elkus Manfredi Architects, Boston, MA. Cosentini Associates, of Boston, provided electrical engineering services. This entry was posted in News on May 7, 2018 by andy.